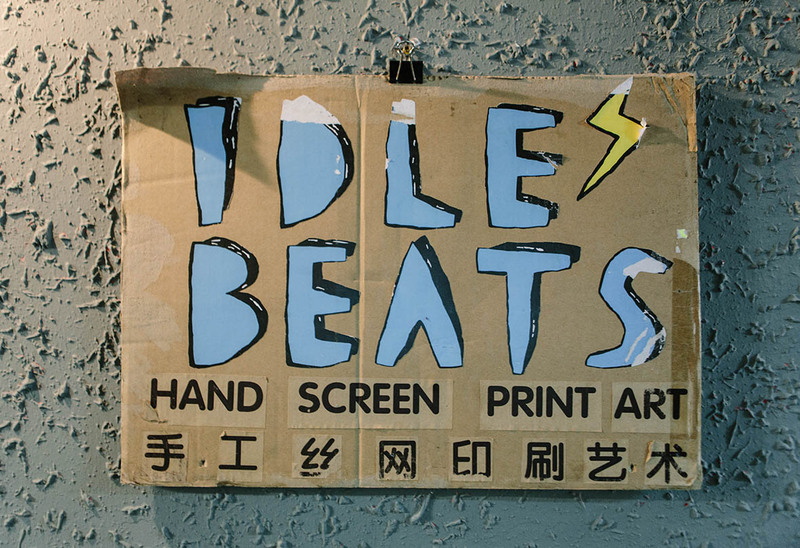 IdleBeats is the artist duo of Nini Sum and Gregor Koerting. 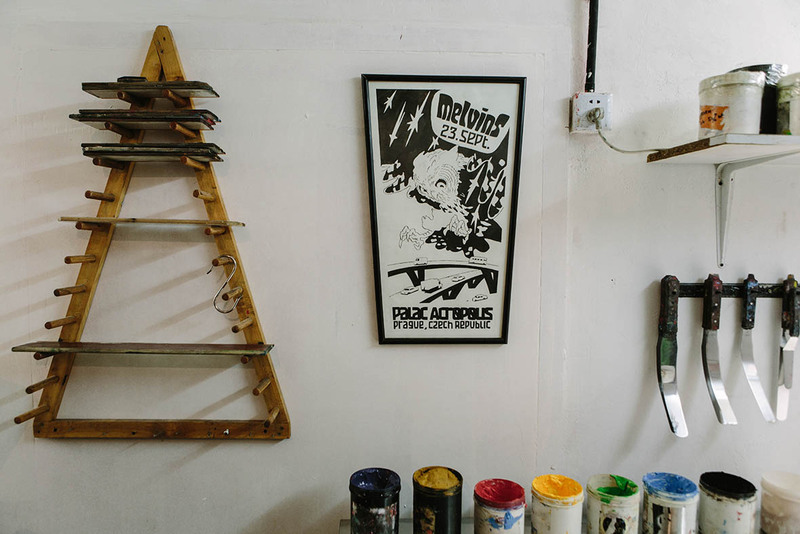 The pair have been in Shanghai since 2009, functioning as a print art studio and focusing on the creation of original screenprinted art, installation art, music posters, and brand crossover projects. 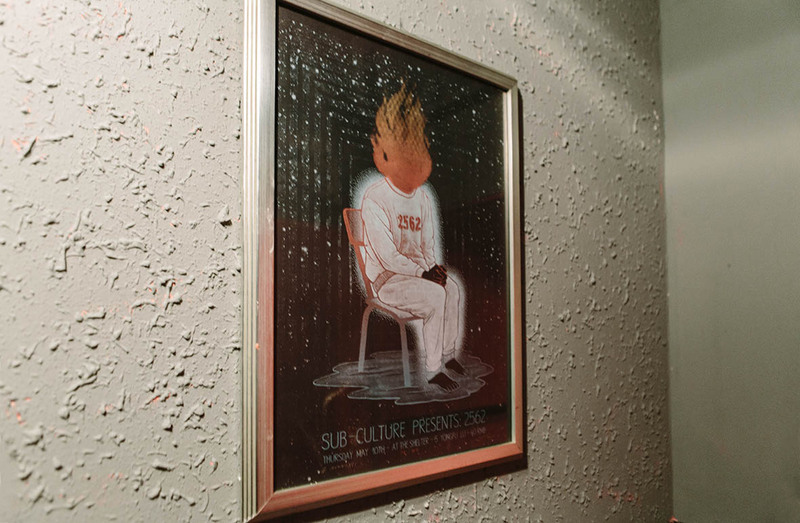 The talented duo have become well-known within the Shanghai creative circles and beyond, for their psychedelic and distinctive visual style. 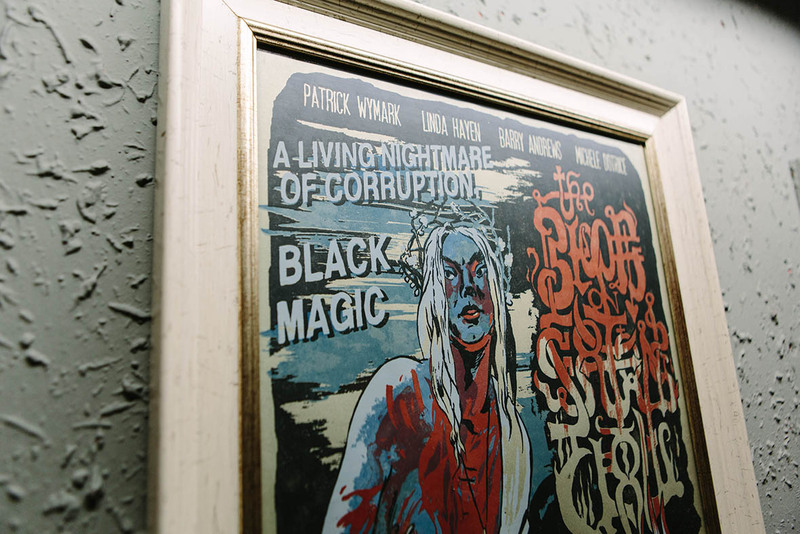 In addition to being printmakers, Nini and Gregor also create illustrations, album artwork, oil paintings, comic books, sculptures, and experimental work. 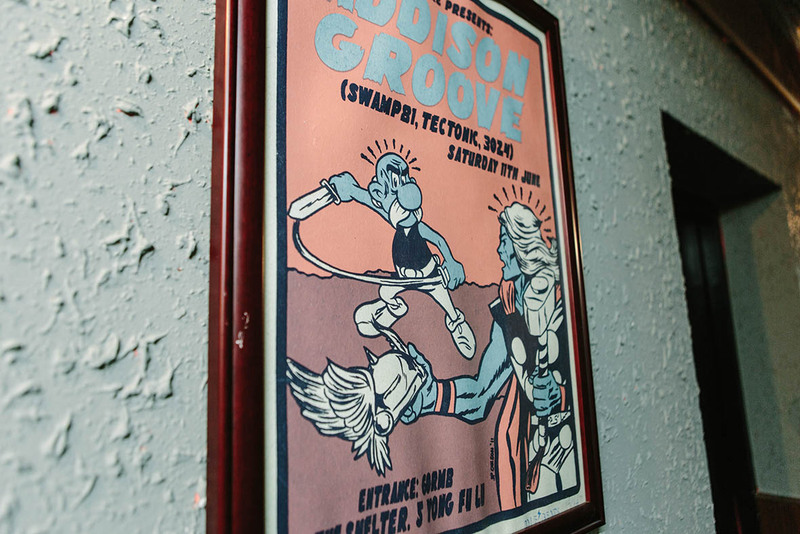 They have made posters for musicians and bands like Motorhead, Melvins, and Handsome Furs, and have participated in exhibitions and art fairs around the world. 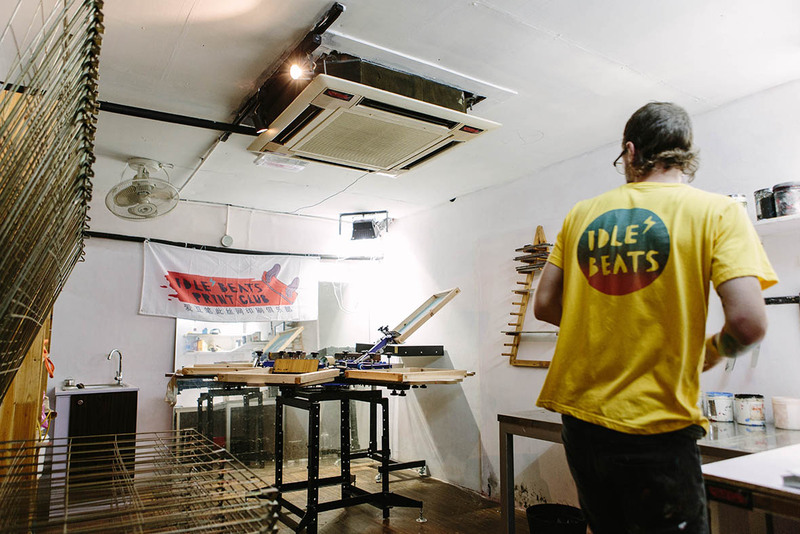 After six years, they have now opened the all new IdleBeats Print Club, a local community-based screenprinting service offshoot of IdleBeats. 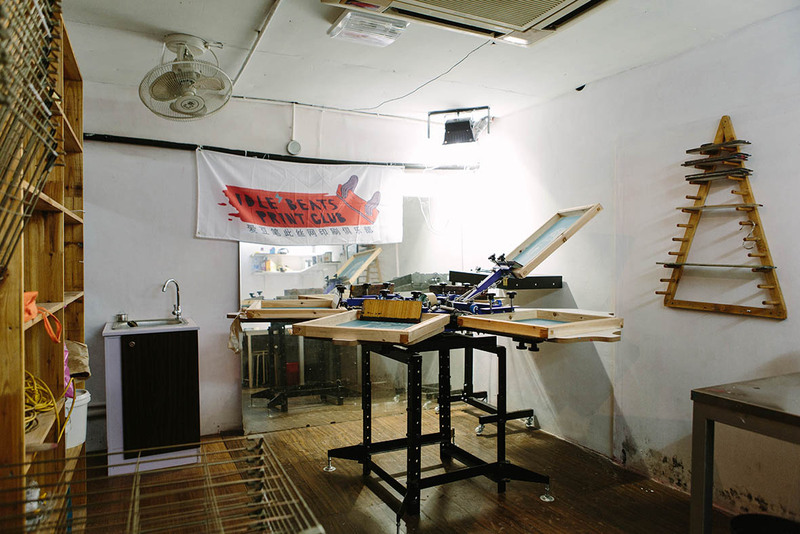 Hosted by Gregor Koerting, Wilhelm Lang and Nini Sum, the purpose of the print club is to provide screenprint lovers in Shanghai a place to work on their own projects at low cost. 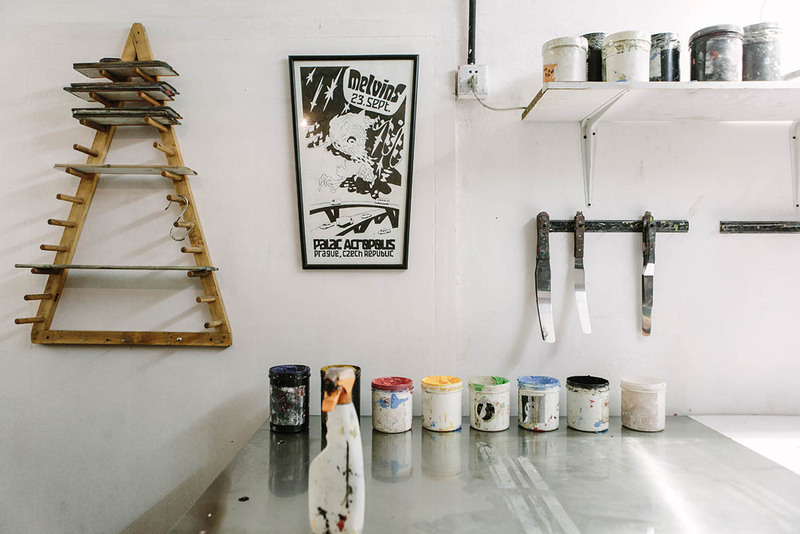 The club encourages learning about printmaking, the free exchange of creative ideas, and open dialogue with other artists within the community. 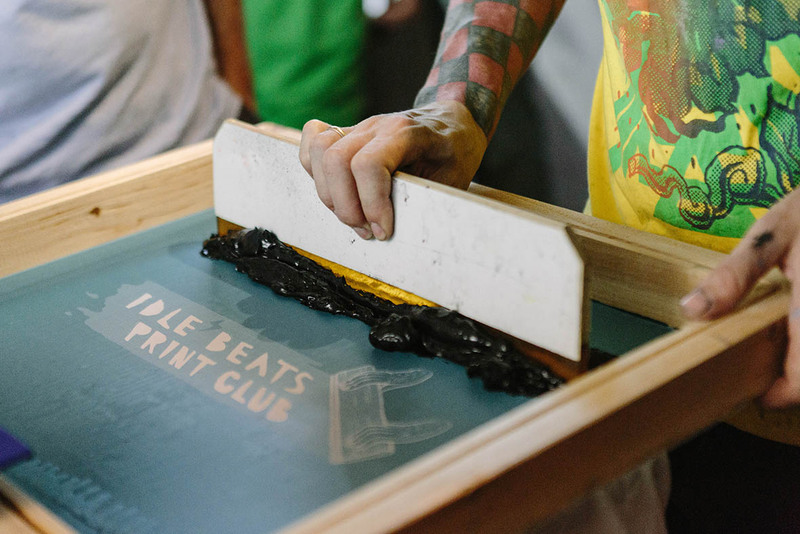 In addition to regular workshops on the weekends, the IdleBeats Print Club also offers memberships, tee shirt & tote printing services, door-to-door workshops, and live printing events. 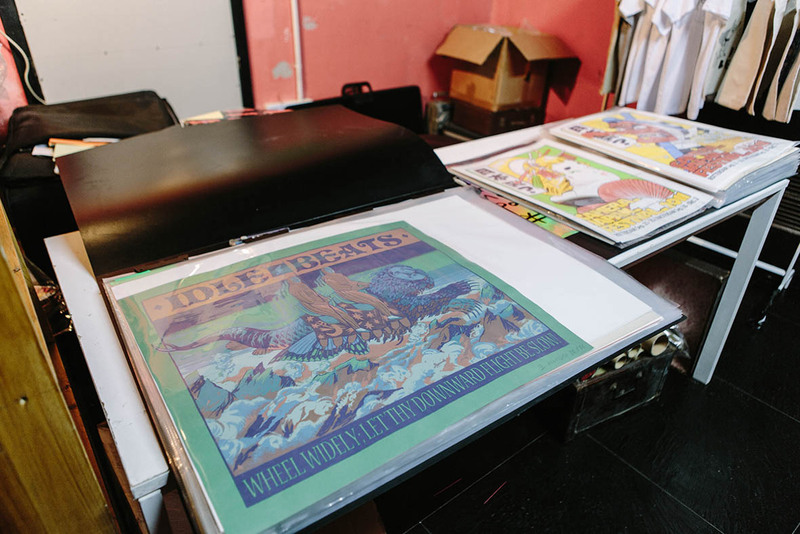 With a newly installed six-head color wheel, it’s easy for members to print a batch of five-color shirts or three-color gig posters. 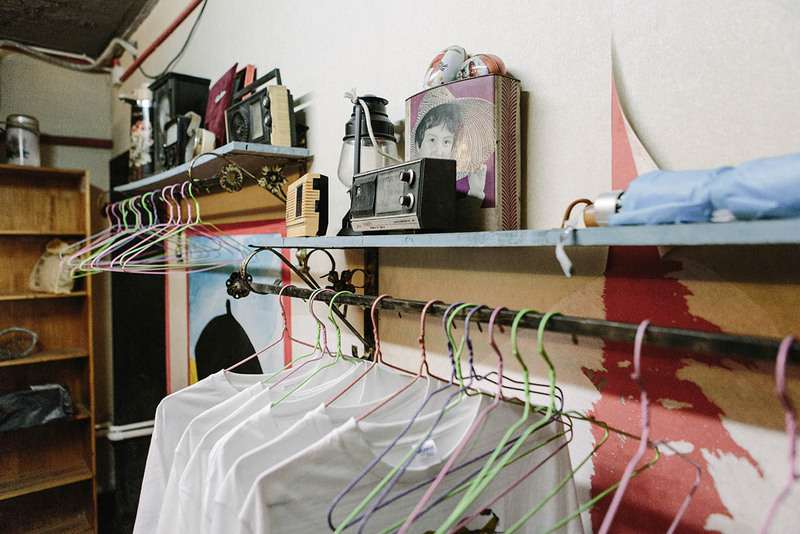 The IdleBeats Print Club is located in an underground complex that also houses the Basement 6 Collective and Uptown Records. 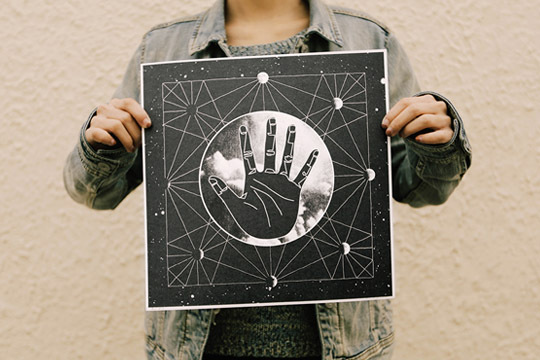 Together this underground art community will generate more energy and inspiring ideas. 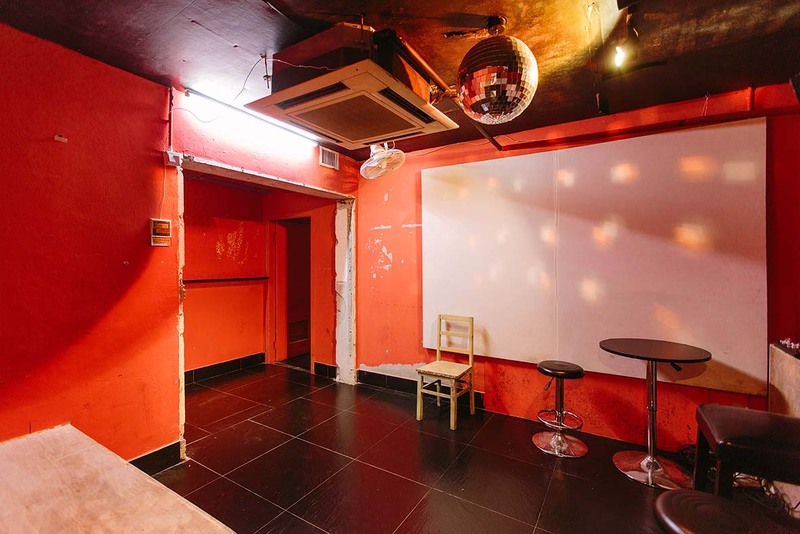 With these like-minded partners, the goal is to turn this underground space into an exciting hub of true creativity in Shanghai. 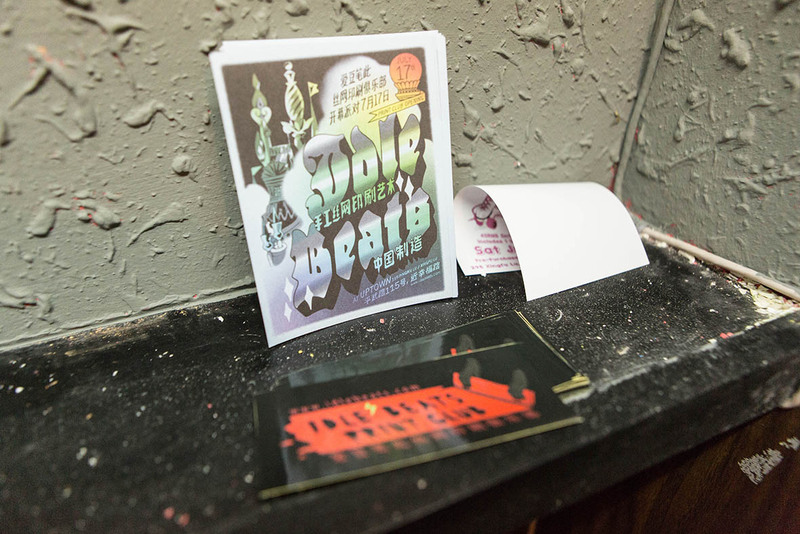 The opening event for the Idlebeats Print Club this past July was the first event ever co-hosted by IdleBeats, Uptown Records, and Basement 6. 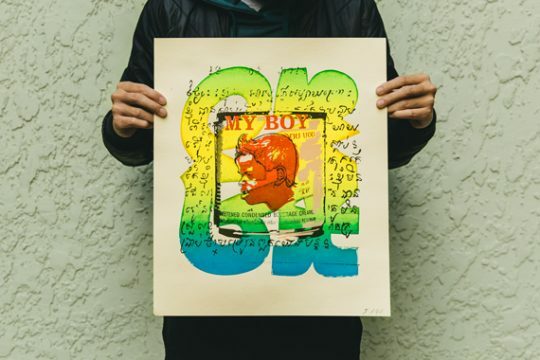 Many friends and print lovers came out for the opening that night and enjoyed music performances from Mau Mau and Gooooose. 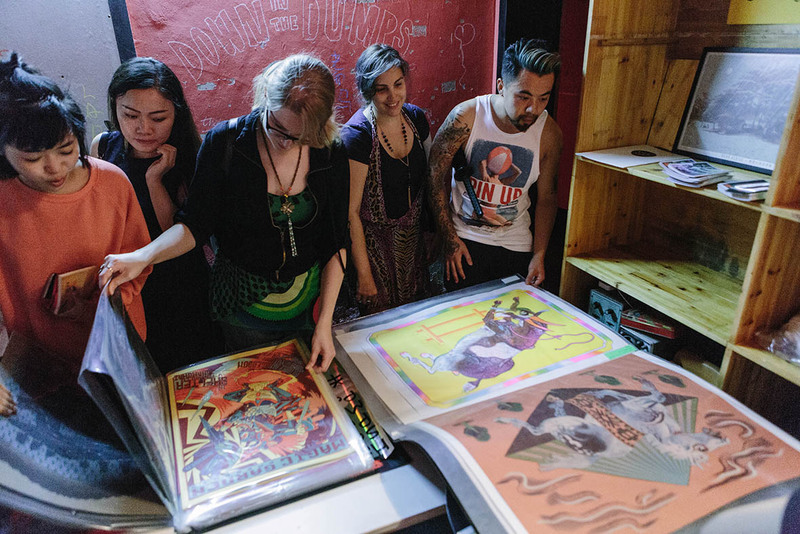 While some people were busy making screenprints with IdleBeats, others participated in Basement 6’s “Drink and Draw”. 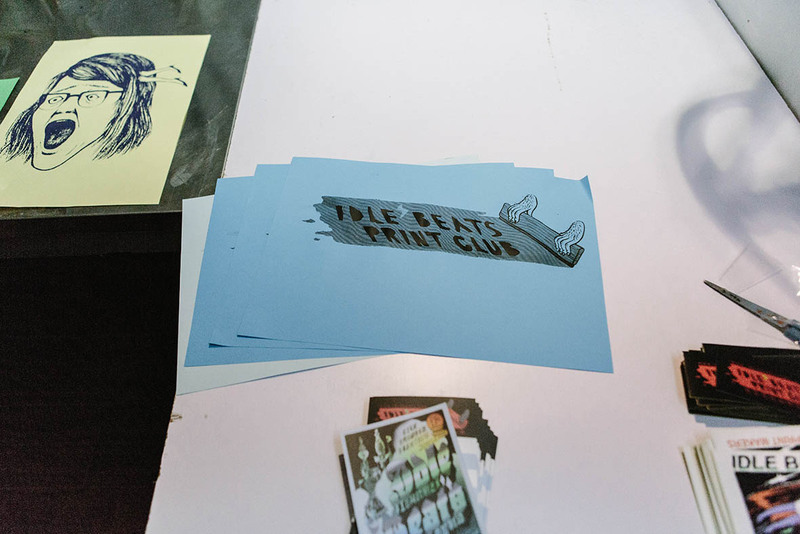 The IdleBeats Print Club is now open to everyone, including artists, designers, musicians, indie brand owners, and students. 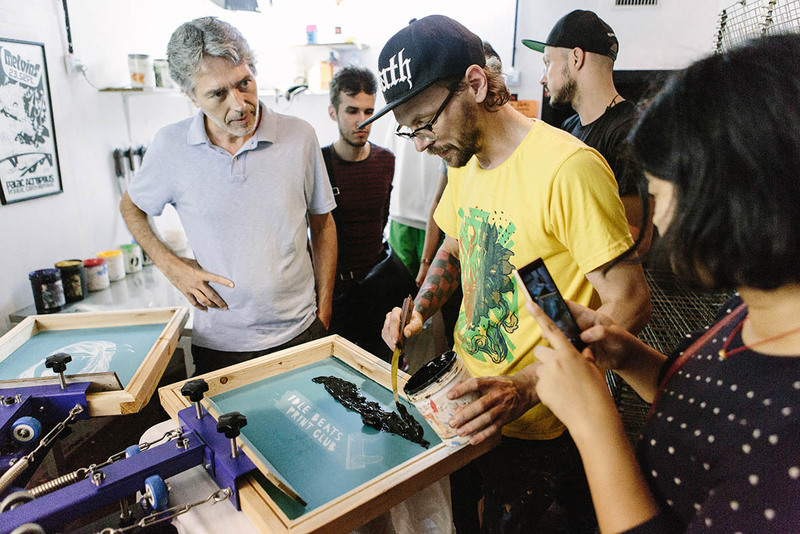 With help from the IdleBeats team, you can easily learn how to print your own designs on tees, tote bags, or poster paper in just a single workshop session. 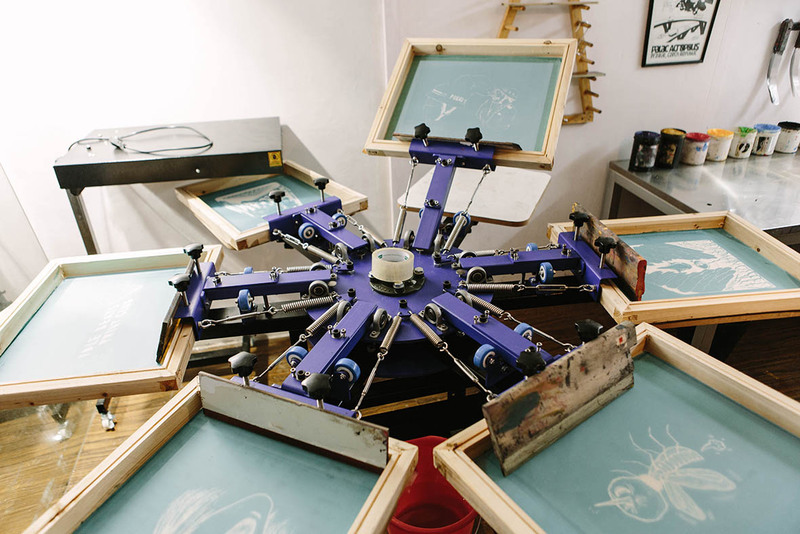 For those who already know a bit about screenprinting, a membership to the Print Club is a smart choice to print more freely and affordably.